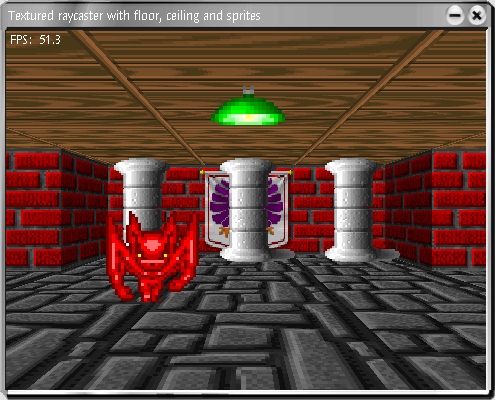 Raycasting engine based on lessons "Lode's Computer Graphics Tutorial - Raycasting", "Lode's Computer Graphics Tutorial - Raycasting II: Floor and Ceiling" � "Lode's Computer Graphics Tutorial - Raycasting III: Sprites". First lesson dedicated to rendering of untextured and textured walls Lode's Computer Graphics Tutorial - Raycasting. Second lesson dedicated to rendering of textured floor and ceiling Lode's Computer Graphics Tutorial - Raycasting II: Floor and Ceiling. Third lesson dedicated to rendering of sprites Lode's Computer Graphics Tutorial - Raycasting III: Sprites. Optimized (optimized rendering to application window) source code on Active Oberon corresponding to original C++ code of last lesson able for download on this page. 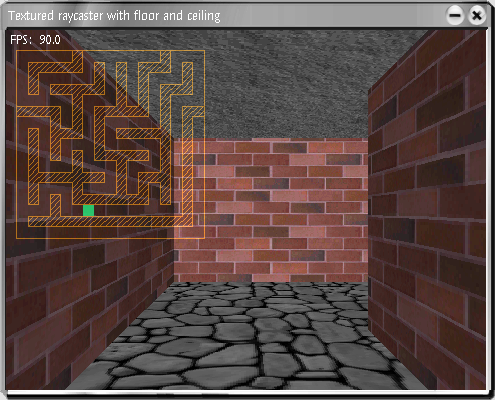 Taking as basis the raycasting algorithm and adding the maze generation algorithm an application for walking throug labyrinth obtained. 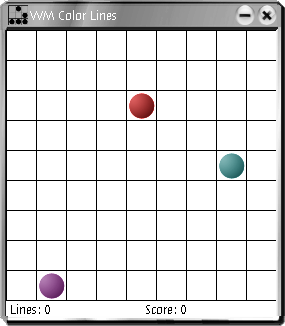 The labyrith map may be displayed by pressing Tab key. Source code also available for download. All described applications included into MicroA2 assembly.